How to get your share of the £900m Brits will spend on Easter! Easter falls at the perfect time for retailers this year. 21st April is late enough to ensure that most buyers have fully recovered from Christmas spending and leaves plenty of time for you to market, market and market again to your customers. 88% of British people will celebrate Easter this year, spending around £900m across the nation. Ensure your shop is stocked up with exactly what shoppers are looking for with our quick guides, below. Friends and family rarely arrive for Easter Sunday lunch dinner without Easter eggs for the kids. In fact, a study by The Birmingham Mail found that the average child in Britain will receive nine Easter eggs at Easter. Kinnerton combines delicious chocolate with everything a child wants from an Easter egg. All eggs come with an extra treat, which as we know increases perceived value for money in the eyes of a shopper. They are also themed with the most popular children's TV shows. Choose from Peppa pig, Paw Patrol, My Little Pony and more. Some of the must-have items for any retailer at Easter are Easter basket fillers. Small sweets are also popular with family members who don't want to give children chocolate or whole Easter eggs. These seasonal Malteaster Bunnies are just 29g and make the perfect Easter 'stocking filler' for retailers to offer. Of course, Easter isn't just all about chocolate - just under 20% of shoppers purchase alternative gifts like toys and books according to Statista. If you want to maximise on the opportunity to target more shoppers in the run-up to Easter, offering an alternative gifts section next to Easter goods will appeal to those who aren't just looking for edible gifts. Soft toys are always a favourite with children and adults alike, whilst blind bags and collectables are one of the most popular toys of the moment. Every great Easter display should include accessories for Easter egg hunts; brightly coloured with the baby blues, pinks, yellows and whites synonymous with Easter. Offering multipacks is an easy way to show customers that they're getting a good deal too. These Easter bunny ears and felt Easter baskets will add just what you need. What is better than offering customers the luxury of purchasing everything they need for Easter at your store? It will offer your customers efficiency (a quality increasing in priority for millennials) and simplicity. These large Easter gift bags will accommodate Easter eggs and alternative gifts. A staggering 48% of shoppers planning to travel during Easter will be travelling before or after the holiday. This makes early Easter marketing and late Easter sales almost essential to ensure that you target customers at the right time. Preparing by stocking up on everything a customer might need is the key to Easter revenue success. 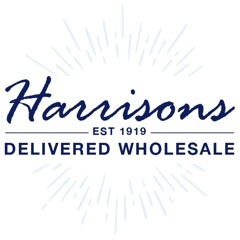 All items mentions are available at Harrisons Direct!